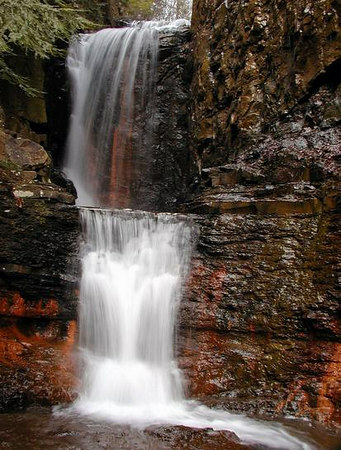 This beautiful multi drop waterfall lies beneath The Devil's Racetrack. It is also beside I-75 North. It would have been smarter to simply drive to the end of Bruce Creek Road and walk up to this than to hike for miles on the not-so-scenic C.T. to reach this spot.